Merrimack County's Award Winning Design Build Firm-Best of Houzz! Cabinetry for the most discriminating taste. First opened in 1997, Kitchen Encounters was established by Steve Grant. Steve was a carpenter in high school and soon after a residential home builder. He has been working in the trade and real-estate in one form or another for more than 40 years. The idea for Kitchen Encounters came out of need. Steve was renovating a historical lake front home in Wolfeboro and when it came time to purchase the kitchen and bath cabinetry, there were not many options in the area. Kitchen Encounters was originally located in Gilford where they leased a small store front. Quickly realizing they were out growing the space, Steve then built a new showroom in Laconia, NH which stands as the company's current location. Soon after the company was incorporated, his wife Connie joined the two man team. In the following years Kitchen Encounters began adding staff while remaining committed to keeping the business small in order to provide a personalized customer experience. *Hunter Douglas Authorized Dealer* Goedecke Flooring and Design is a family-owned firm specializing in Interior Design, Flooring, Window Treatments, Benjamin Moore Paints, Cabinets, Custom Tile Showers, Bathroom and Kitchen Remodeling, and Project Management. The American dream came true when our Great Grandfather started George Goedecke & Son Custom painting 93 years ago in New Hampshire. Now four generations later, Goedecke Flooring and Design has become a household name for a wide range of home remodeling products and services. The Muir Showroom in Bedford is an exceptional display of high-quality building materials featuring over 30 JELD-WEN window and door displays, 8 complete kitchens, several bath displays, an operating Jacuzzi, prefinished flooring, and a variety of hardware, faucets, and accessories. We also feature a 10-foot folding Mahogany door leading into a private conference room equipped with the latest sound and projection system where homeowners, architects, and builders are encouraged to meet and discuss projects. Capital Kitchen & Bath has been designing and installing kitchens and baths since 1997. Each custom design is crafted to showcase its beauty while maintaining practicality and function. The goal of each design is to make your dream kitchen or bath a reality. At CK&B we will work with you to bring your vision to fruition, guiding you through the entire process. Capital Kitchen & Bath is highly sought after for its beautifully designed and crafted kitchens, bathrooms and additional areas. We have installed hundreds of gorgeous spaces with many happy clients. Our reputation has been built from these referrals. We take pride in our steadfast dedication to client satisfaction that reflects the integrity, honesty, and business ethics that make up the entire CK&B Crew. At Lifestyle Flooring & Remodeling we focus on quality and building relationships with each of our clients. We are your local, family-owned and operated home improvement experts. We service Hillsborough County and surrounding areas and can tackle all of your home improvement and renovation needs. 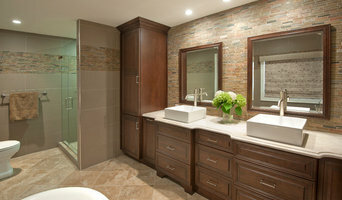 We specialize in kitchen and bath remodeling, carpentry, flooring, and more! Contact us today, we look forward to working with you! Not Just Kitchens is a full service design and remodeling center in Bedford, New Hampshire specializing in kitchens and baths - but as our name states, we're so much more! Stop by and see the best New Hampshire has to offer in home remodeling! Walk from room to room, with a stunning display around every corner. You'll feel at home in our showroom - the intimacy and comfort level will make it easy to visualize your own project! We're proud of our talented staff of professionals - come and experience our true dedication to the customer today! Since opening in Concord, NH in 1990 we have been designing and remodeling kitchens, baths, office spaces, libraries, great rooms, laundry spaces and mudrooms. In 2006, after a period of several years in our Manchester location, we moved to our newly-renovated Bedford showroom; a 100 year-old Victorian home and former Inn at 41 South River Road. Full service kitchen design showroom located in a re-purposed 1850's brick house. 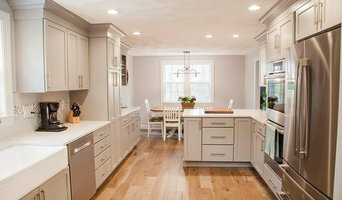 There are many types of kitchen professionals in Canterbury, NH – from cabinet makers, to carpenters and interior designers – and many trade professionals offer a full suite of expertise. Depending on the size of your kitchen renovation, and the kitchen designer, they may also hire contractors on your behalf and manage the project from beginning to end. Here are some related professionals and vendors to complement the work of kitchen & bathroom designers: Kitchen & Bathroom Fixtures, Appliances, Tile, Stone & Benchtops, Joinery and Cabinet Makers, Carpenters. 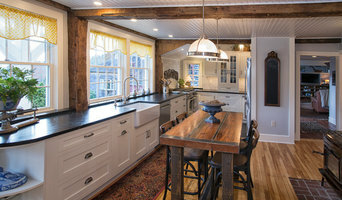 Find a Canterbury, NH kitchen designer on Houzz. Browse the Professional section on Houzz to find kitchen designers in Canterbury, NH. Then, scroll through photos of their latest kitchen renovations and see how their work compares to the scope of your project. You can read reviews to see how other homeowners rate their work, and message them directly to to ask any specific questions.